After having a quick sneak peak of the Singapore Grand Prix: F1, our sleepy appetites called for some aggressive cuppa joe. 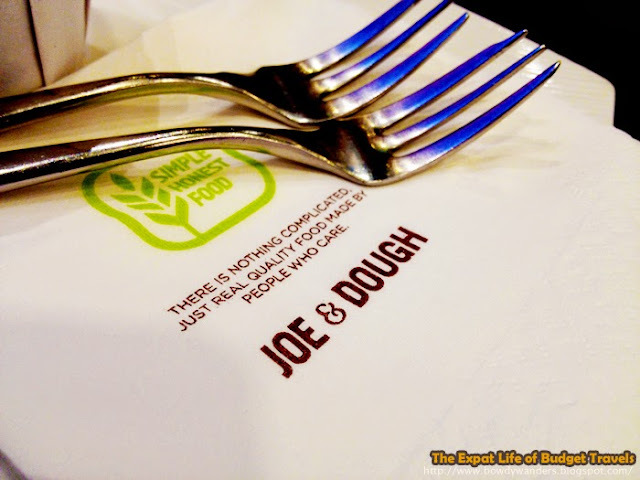 Joe & Dough was there to the rescue. 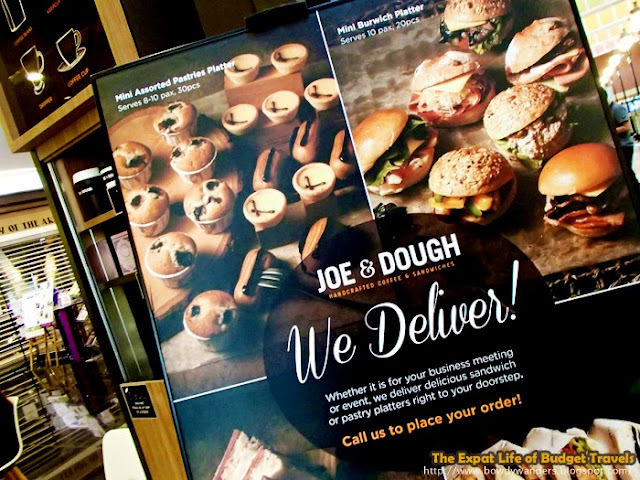 Of course, the name is just pure genius: the word “Joe” in its name is the American slang for coffee and “Dough” refers to their signature artisan breads. It quietly sits inside the Millenia Walk, all bare, brown, and bean-inspired – the kind of place we’d pick for some chill coffee session. 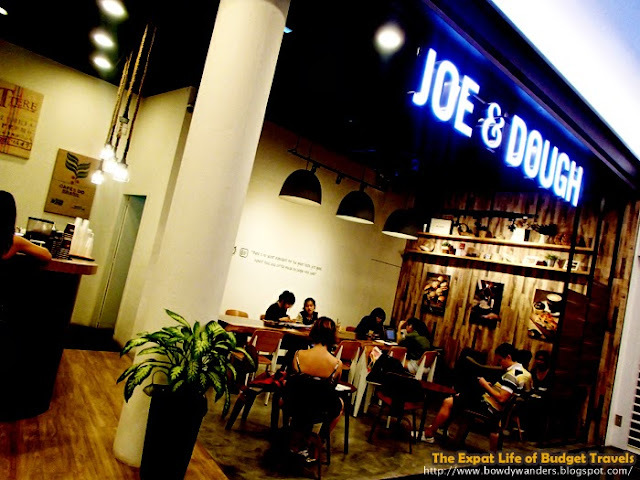 The Joe & Dough can be found at the second floor of Millenia Walk. 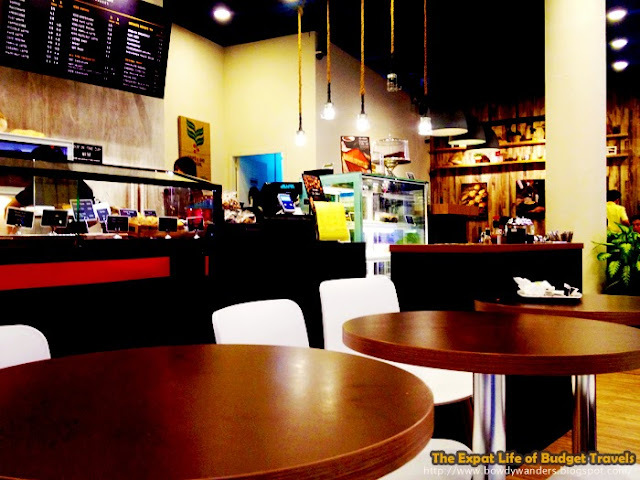 The nearest MRT around this café house is the Promenade Circle Line. It’s a good five minute walk and it’s quite easy to spot it, because it’s the only café on this side of the floor that’s all chocolate colored. Plus, the high ceiling and raw minimalistic style makes the place looks spacious – the kind of space you’ll like to fill-in with conversations and coffee. 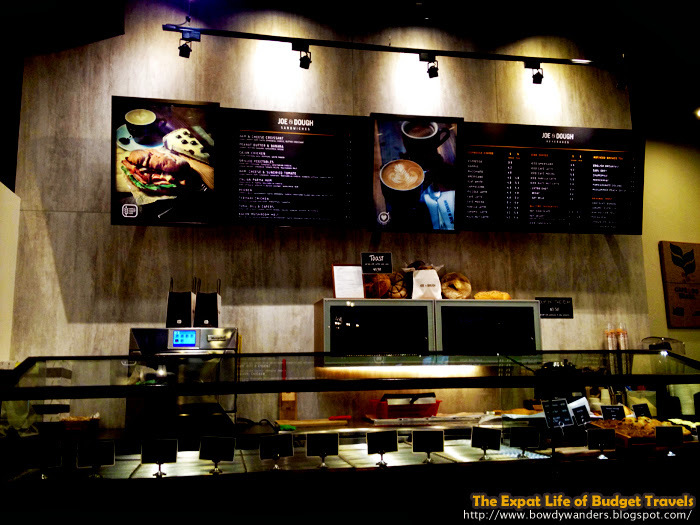 Nothing is more compelling than a simple yet packed café, full of coffee choices and sandwiches. The simplistic but interesting details are more than enough to highlight the rest of the café - like their toasted sandwiches, artisan breads, and cupcakes and pastries. They have good sandwiches, such as the Cajun Chicken, Bacon Mushroom Melt, and the Reuben. 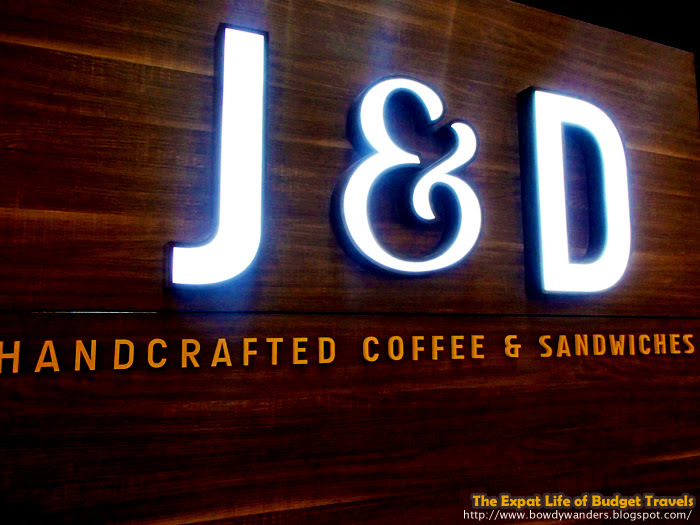 Their espresso coffee, iced coffee, and al time favorites are also complete with all the ones you might not realize you’d crave for. 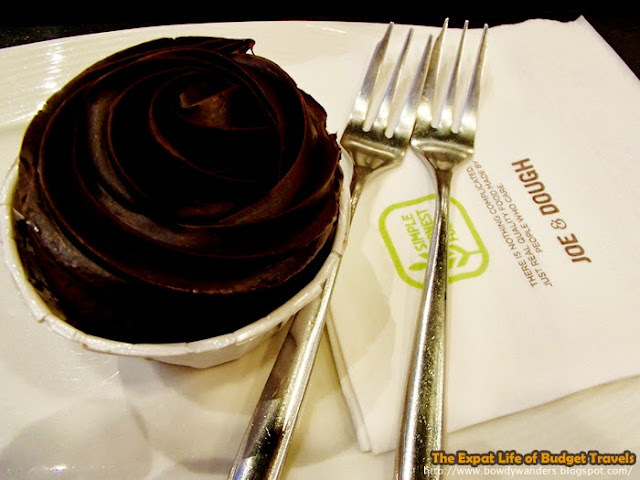 I enjoyed the chocolate velvet with macchiato – it’s the right combination for that not–so-heavy-but-still-good kind of café meal. 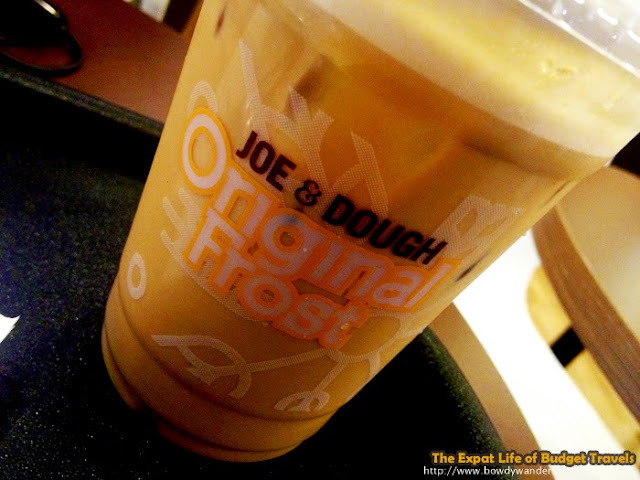 Joe & Dough is the café choice for weekend chill sessions, dates, gatherings, and maybe even some alone time. The crowd here is generally low key so it gives you more time to enjoy the café. 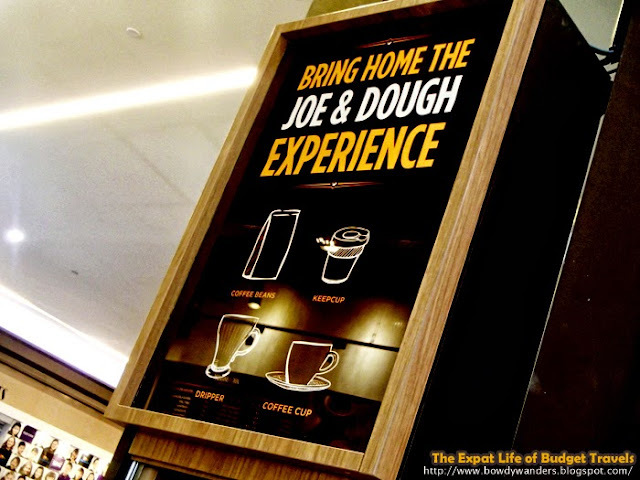 The overall impression Joe & Dough gives is more on the laid-back kind of experience, which is quite excellent considering that it’s wide open in a mall around the city area. Must come back here, for sure. Opening Hours: Sun - Fri: 07:00 A.M. - 11:00 P.M., Sat: 10:00 A.M. - 11:00 P.M.